"Sweet Tooth: The Art of Dessert" | Destination Recreation | Kids VT - small people, big ideas! Google "baby eating ice cream for the first time" and you'll encounter YouTube videos of wide-eyed little ones wagging their tongues in glee. They're visual proof of kids' early affinity for sweets. But it doesn't always last — from sugar crashes to stomach problems to painful dental procedures, adults' associations with sugar aren't always so satisfying. This made visiting "Sweet Tooth: The Art of Dessert" with my kids last month a thought-provoking experience. On display at Shelburne Museum through February 18, the multimedia exhibit features confection-themed art from 12 contemporary artists from the United States and Europe, with a smaller section showcasing work from seven Vermont artists. Enter the first-floor gallery of the museum's Pizzagalli Center for Art and Education, and a panel explains that the exhibit "investigates the varying responses and relationships that sugar — in all its forms — provokes and inspires." 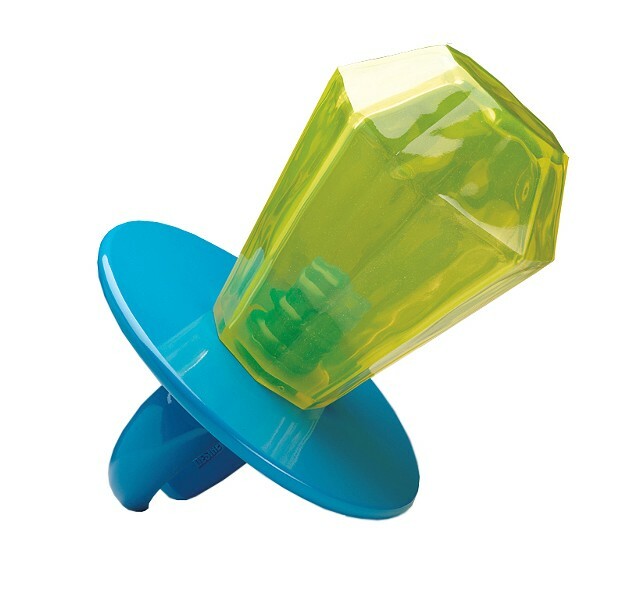 But my kids were too stimulated by the colorful, shiny objects on display to stop and savor the signs. 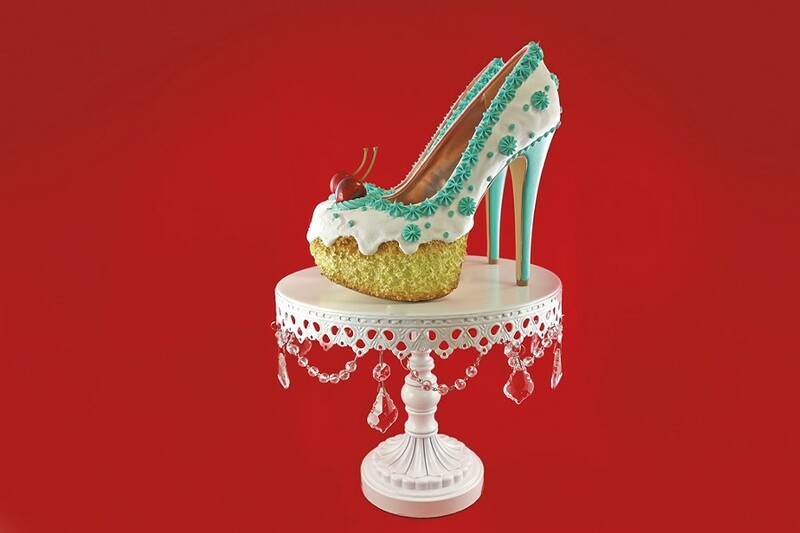 Ten-year-old Mira, a budding fashionista, gravitated toward high heels decorated like ornate cakes with faux icing, meringue, sprinkles and cherries from Orlando-based artist Chris Campbell of Shoe Bakery. "Which one would you want to wear?" she asked me, and we spent a few minutes debating the merits of each pair. My constantly-in-motion 7-year-old son, riding an art-induced sugar high, made a beeline for the corner of the gallery, where Christopher Boffoli's large photographs of mini figures jackhammering Blow Pops, ice climbing rock-candy cliffs and snow-blowing powdered donut sugar captured his attention. He was even more enthralled by an adjacent video screen that looped animated versions of some of the photographs. 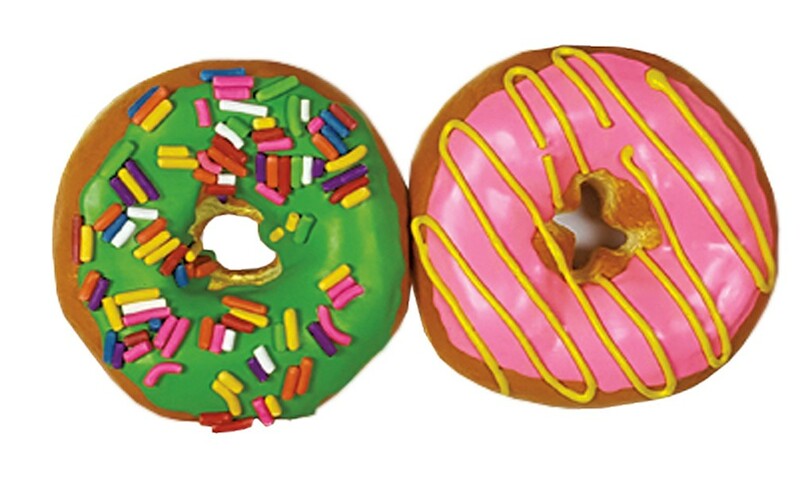 Larger-than-life representations of normally small objects — from a 10-foot-wide photorealist oil painting of tangled black and red licorice to jumbo resin sculptures of Ring Pops to a jumbo box of glossy donuts — made the exhibit especially enticing to my kids. Assistant curator Carolyn Bauer confirmed its allure — she said she's observed many children who can't resist touching the work (against museum rules, I'm afraid). Sometimes young visitors' behavior goes even beyond that. "We've never had an exhibit before where we're keeping a tally of how many licks the art gets," Bauer said — about two to three per day. The art's exaggerated proportions can be unsettling for some viewers, Bauer said. She suggests asking kids, "Why do you think the artist made this so big?" as a way to start a conversation about the work. For me, the most moving piece was Michael Massaia's photographs of melting SpongeBob, Sonic the Hedgehog and Batman ice cream pops. They appeared disfigured and had a haunting effect. In the accompanying write-up, Massaia says, "I was searching for an object that could, all at once, be an analogue for my childhood experience ... much of which was filled with confusion and distortion." That got my mind churning, but I didn't try to explain it to my kids. To them, the photos simply showed drippy ice cream bars like the ones they had in Central Park last summer. There are other works in the gallery that viewers will interpret differently depending on their age and life experience, said Bauer, highlighting what she calls the "dichotomy between what an older viewer and a younger viewer might see." That's the beauty of the exhibit. The subject matter is familiar and exciting for kids and also interesting for adults. And that's pretty sweet. Shelburne Museum, 6000 Shelburne Rd. 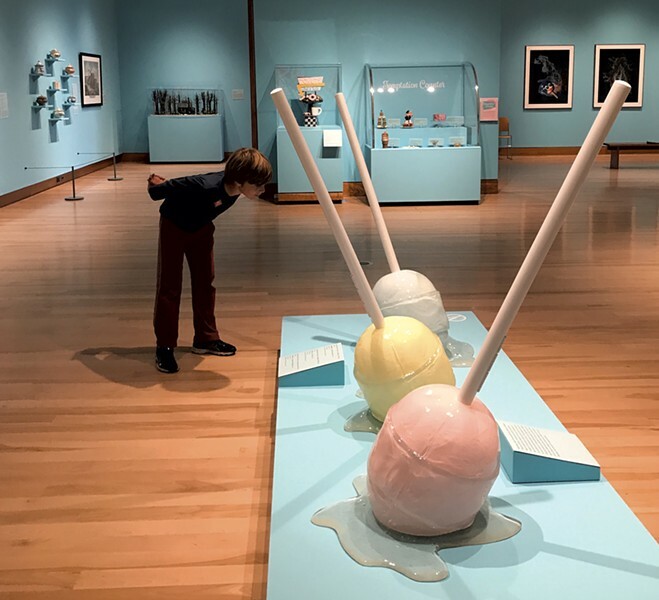 "Sweet Tooth: The Art of Dessert" runs through February 18 on the first-floor gallery of the Pizzagalli Center for Art and Education at Shelburne Museum. The museum's fall season hours are 10 a.m.-5 p.m. daily, through December 30. 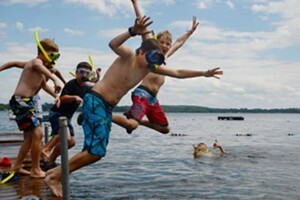 Admission for Vermont residents is $14 for adults and $7 for children ages 5-17. Kids can participate in Webby's Art Studio sessions on candy sculpture on November 4, and on gumball machine ornaments on December 16, both from 11 a.m.-3 p.m.